Horseback riding is a demanding sport, where both horse and horserider must be in complete harmony. 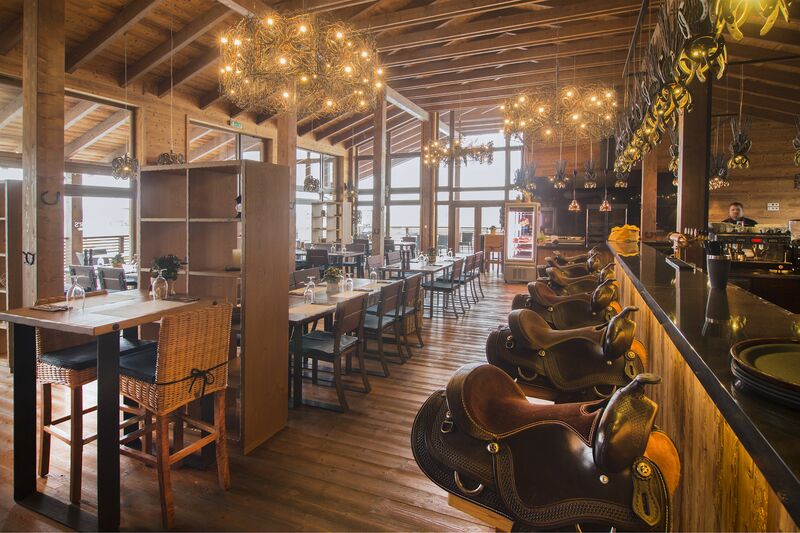 It was probably the idea of this perfect harmony that was the unique inspiration for Slovak billionaire Mario Hoffmann when he wanted to create the ideal environment for the most prestigious of equestrian competitions. The FEI World Endurance Championship, held in Bratislava, thus very quickly established itself as one of the most prestigious championships, to such an extent that it welcomed to Samorin, a suburb of Bratislava, no less than Dubai’s Sheikh Mohammed bin Rashid Al Makoutma, an ardent enthusiast on horses and recognised worldwide for his horseriding prowess. The horses in Samorin have clearly got it made; the quality of facilities is at the very highest level. Experts concur that such well-conceived and thoughtfully designed equestrian centre is not to be found anywhere else in Europe. In addition to everything else it offers, the view over the race horses and the feel of their presence is a real eye catcher! 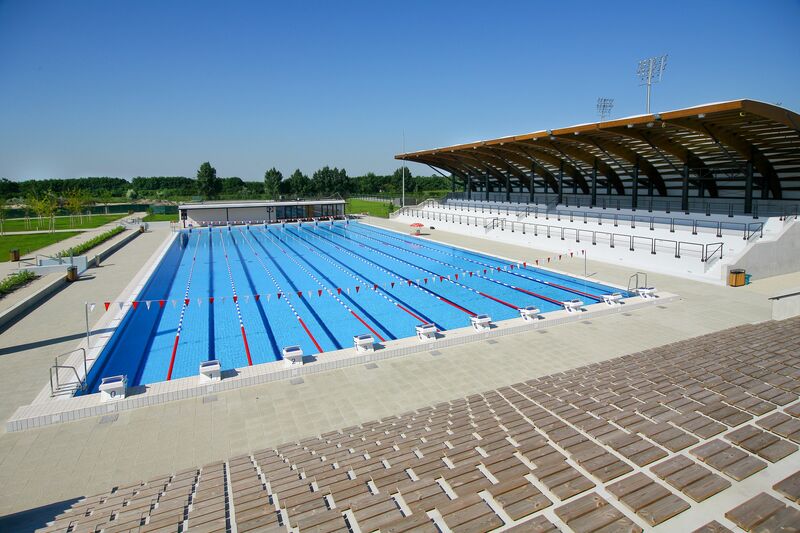 When Mario Hoffmann and Prof. Dr. Bodo Lambertz, founder of the sports equipment factory X-Bionic, joined forces, the initial idea evolved into an enormous business and sports resort, where training and competition for the 27 Olympic sports can be performed. On top of all that, top quality business meetings can also be carried out here, as the X-Bionic Sphere offers absolutely splendid conditions for the most demanding events and congresses, being located just 20 kilometres from Bratislava. Bratislava has consequently taken on an important role for hosting business events and at the same time offer an entirely new concept, which is a kind of hybrid between a sports centre, a hotel resort and a prestigious convention centere. On first visiting the centre, one gets to understand its futuristic name, as the feeling you get there is akin to landing on another planet – albeit the kind of planet to which you will want to return on a leisure trip because of its varied offer of sports and entertainment activities. Mario Hoffmann is himself a former athlete and former Czechoslovakian canoe champion. His detailed knowledge and understanding of sports training is of great value and he wanted that Slovak athletes could complete their full training at home. 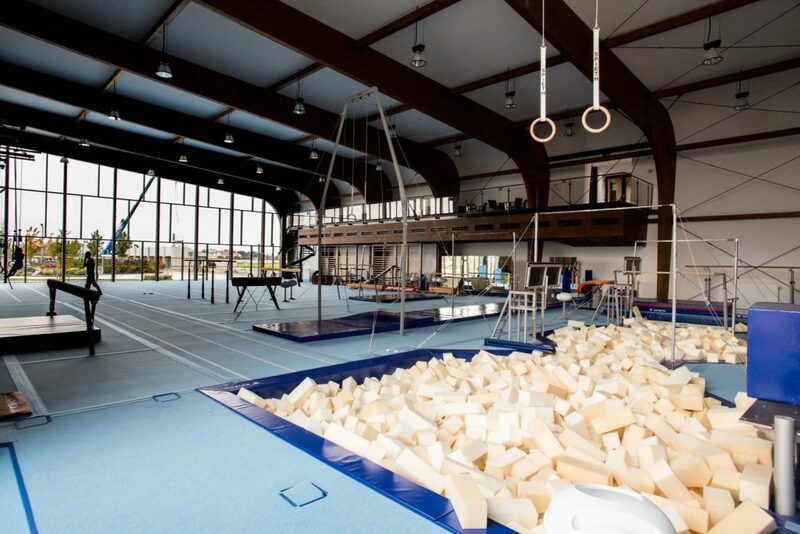 Last year, the centre acquired its official status as the Slovak Olympic training centre. Its location close to Bratislava, Vienna and Budapest is also quite handy for X-Bionic Sphere. What makes it particularly interesting is that sports teams from Central Europe tend to migrate to the warmer regions through the winter, but those from warmer climes tend to come to Europe, as it corresponds to a different climate. 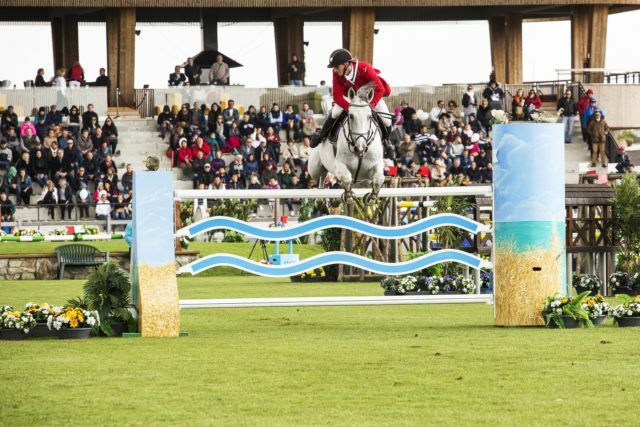 At the moment training regimes are possible for 27 Olympic disciplines, among them being all of the equestrian disciplines, as well as swimming, football, athletics, cycling and others. A new multifunctional sports stadium will soon be added to the mix, built to the size of three handball courts and able to accommodate up to 5,000 spectators. There are currently 282 rooms in the complex, all tastefully and elegantly furnished to a four-star category standard and suitable for the longer stays required by congress guests and athletes. In the lobby is a reception, bar, shop with top X-Bionic sports equipment and a buffet-style main restaurant. For the most demanding guests a special area of the hotel has been reserved and has been symbolically called the X-Bionic Strato Sphere. It is of a superb design, with precious materials and a butler service part of an exceptional experience, making it the preserve of sheiks, presidents and other ultimate-demanding of guests. For these guests there are 12 suites available, all with terraces overlooking the Danube and the mighty sport-tourist complex at their disposal. Tulikino cinema, which translated from Slovak means “cinema for making out”, is impressively innovative. Rather than the old and quite often uncomfortable chairs of regular cinemas it has been equipped with sitting bags – as the owners have said, they want the viewers to be as comfortable as if they were home when they enjoy a movie. Designer Michal Staško, responsible for both x-bionic® spheres, has designed an innovative multiplex cinema which, besides it comfort, makes a further impression with its colourful room that will delight everyone who are open to a slightly different cinematic experience. This hall also takes care of congress guests, which we managed to check out at the time of the 27 Names event that was taking place in it. The Congress Centre currently includes 12 congress halls, the largest of which can accommodate up to 600 participants and has the added benefit of a high ceiling. This hall is suitable for the most demanding event productions. Event organisers will also love many of the external surfaces: zen-style atriums and delicately hidden corners to which in good weather you can migrate elements of an event. The centre has very quickly gained in popularity, a huge advantage being the proximity of Bratislava and vast free parking available. There are also numerous options for entertainment and recreation, a bowling centre, four different types of restaurants and two hotel bars being quite noteworthy. 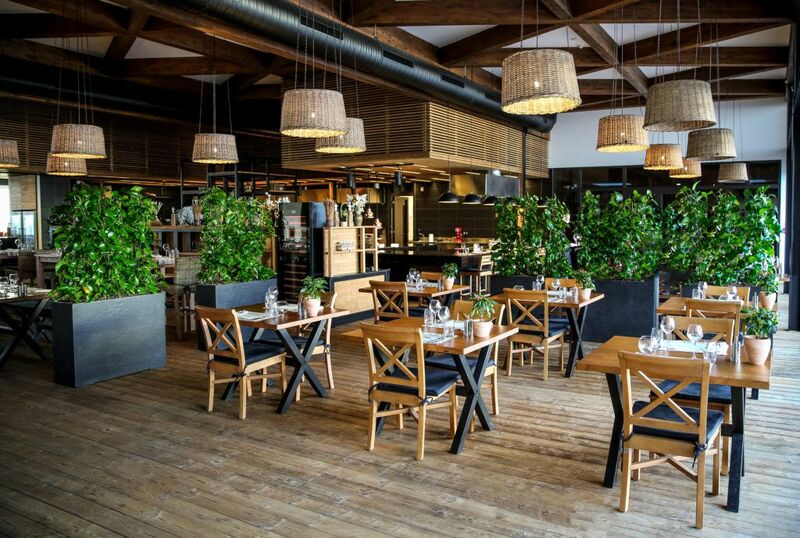 Among the restaurants there is the particularly popular Apani, based on minimalist Japanese-European cuisine. This is unquestionably an impressive facility, one where in particular the concept of the visitor response to it can not leave you feeling in any way indifferent. Luxury materials and thoughtful functionality are key elements of the interior design, all with a touch of the modern. The designers have also taken great care with all the little details, both inside and outside the centre, all of which guarantees the quality execution of events. One of the major advantages here is certainly the sports facilities that will appeal to the more active participants, with another being the strong sustainability of the facility, which is important to the management – it is heated with biomass and they take great care of the recycling of water and energy savings with advanced systems. 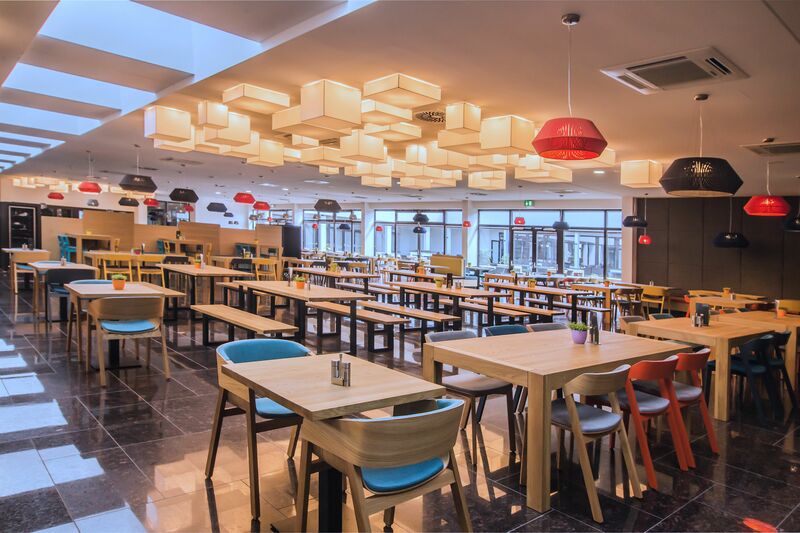 We believe that the whole story of this facility has put the wind in the sails of a now dynamic MICE industry in Bratislava. The X-bionic sphere represents a whole universe of sports, leisure and innovation, brought to you in partnership with the global premium sport brand X-BIONIC®.